This entry was posted in candle making supplies, Fragrance Oils, Natures Garden, Natures Garden Fragrance Oils, Soap making supplies, wholesale fragrance oils and tagged bath bomb recipes, bath fizzy recipe, body safe scent, candle making supplies, cold process soap fragrance, cold process soap peach fragrances, cosmetic making supplies, diy air fresheners, diy bath and body products, diy bath bombs, diy body wash, diy candle making, diy candles, diy cosmetics, diy glycerin soap, diy liquid soap, diy lotions, diy room scenting, diy soap, diy soap for kids, diy soap without lye, doy soap making, easy diy soap, food scent, fragrance for soap, fragrance oil, fragrance oil spotlight, fragrance oils for soap, fragrances for candles, fragrances for gel wax, fruit room scent, fruit smoothie scent, gel wax compatible fragrances, good cp soap scent, good peach scents for cp soap, good scent after cure, good scent in cp soap, handcrafted soap, handmade candles, homemade bath bombs, homemade cosmetics, how do I make bath fizzies, how to make bath bombs, how to make scented candles, how to make scented lotion, how to make soap, ice cream bath bombs, ice cream scoop bath fizzy recipe, make you my own bath fizzies, natures garden, no discoloration, orange candle dye, orange liquid candle colorant, orange liquid candle dye, orange liquid soap colorant, orange liquid soap dye, orange soap colorant, orange soap dye, peach aroma, peach bath and body scents, peach fragrance, peach room scent, peach room scents, peach scent, peach scent for aroma beads, peach scented candle, peach scented perfume, peach smoothie aroma, peach smoothie candle fragrances, peach smoothie candle scents, peach smoothie cosmetic fragrance oil, peach smoothie cosmetic oils, peach smoothie cosmetic scented oil, peach smoothie cosmetic scents, Peach Smoothie Fragrance Oil, peach smoothie fragrance oils, peach smoothie fragrances, peach smoothie fragrances for soap, peach smoothie scent, peach smoothie scented oils, peach smoothie scents, peach soap scent, scented body lotion, scented body lotion instead of perfume, scented candle making, scented lotion or perfume, scented soap, smoothie scent, soap making supplies, strong peach scents for soy wax, white musk, wholesale fragrance oils, yummy scent, yummy scented candles on September 24, 2016 by Deborah Ward. 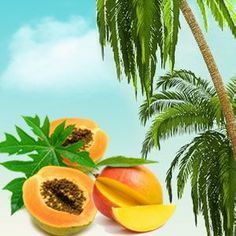 Peach Smoothie Fragrance Oil is peach scent by Natures Garden. This aroma is a scrumptious combination of juicy fruits, fresh floral and green notes, and a white musk that create the perfect aroma reminiscent a real peach smoothie. In fact, our customers agree, giving this peach scent a five star rating. One of our customers, creating soy wax candles, had this to say, “I use this scent in my soy candles. It works awesome and smells amazing!! Just like a sweet peach! 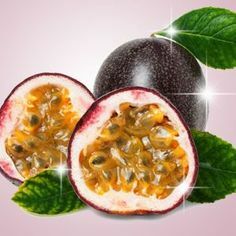 I always sell out on this scent!” Give Peach Smoothie Fragrance Oil a try today! Let us know what you create, we would love to hear all about it! 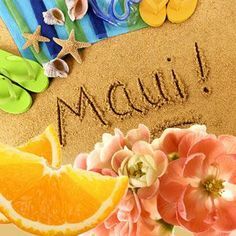 What Does Peach Smoothie Fragrance Oil Smell Like? This fragrance oil by Natures Garden is incredible! Bubbly peach top notes collide with green notes and white musk to create this peach smoothie masterpiece! Natures Garden’s peach smoothie fragrance begins with top notes of ripened peach and cranberry; followed by middle notes of bergamot and jasmine; sitting on base notes of green notes and white musk. How Do Our Customers Use Peach Smoothie Fragrance Oil in Room Scenting Recipes? 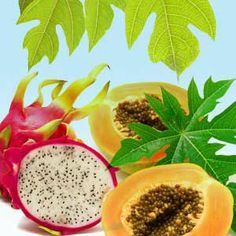 Our customers can use this scrumptious fruit smoothie fragrance oil to create homemade room scenting creations. Recipes for potpourri and incense can each use up to 50% of this fragrance oil. Also, household cleaning products can be made using up to 5% of this fruit scent. Additionally, aroma bead recipes can be made with fragrance oil and will have a nice and strong scent retained. While this fragrance oil has shown to be compatible with gel wax, continues to be the customer’s responsibility to test each fragrance oil that is purchased. 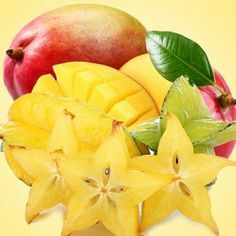 Furthermore, this fruity fragrance oil can be used in wax creations that are made of either vegetable waxes or paraffin wax. These wax products can include up to 10% of this smoothie fragrance. If you are looking to color your candles, wax tarts, or other wax creation for this scent, then we believe that you should use either two drops of orange liquid candle dye or a small bit of shredded orange color block per four pounds of wax. You can use other shades of color if you desire, just make sure you avoid using crayons as they have been known to clog candle wicks. How Do Our Customers Use Peach Smoothie Fragrance Oil in Bath and Body Recipes? Natures Garden customers can use this yummy fragrance oil to create their own bath and body products. Bath gels,bath oils, lotions, perfumes, different kinds of soaps, and all other related bath and body products can be created with a maximum of 5% for this fragrance oil. 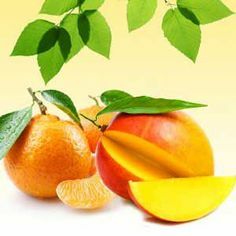 If you are thinking about adding colorant to your bath and body products for this smoothie scent, then we would like to suggest that you use orange liquid soap dye for this peach fragrance oil. Just as you know that you should never use candle dyes in any of your bath and body products, then you can replace our suggestion with your own coloring method. Additionally, this bubbly scent can be used to create cold process soaps. For instance, our Cold Process Soap Testing Results have revealed how this fragrance oil performs in one of our own recipes for this method of making soap. A batch that uses this sweet fragrance oil will have no acceleration, no ricing, and no separation. The final products will have no discoloration in the bars and the soap will have a good scent retained. We hope that you are able to create great products with this aroma! This entry was posted in candle making supplies, Fragrance Oils, Natures Garden, Natures Garden Fragrance Oils, Soap making supplies, wholesale fragrance oils and tagged air freshener fragrance oils, air freshener fragrances, air freshener fragrances wholesale, air freshener scents, air freshener scents in bulk, bath and body ingredients, bath bomb recipe, bath bomb recipes, bath bombs, bath bombs that look like ice cream, bath bombs that resemble ice cream, bath fizzies, bath fizzies for kids, bath fizzies recipe, bath fizzy ingredients, bath fizzy recipe, bath recipes, best fragrance oils for soap, body safe scent, bulk fragrance oils, buy air freshener fragrance oils, buy mp soap base, candle making ingredients, cosmetic making ingredients, diy bath bombs, diy bath fizzies, fragrance oil, fragrance oil spotlight, fragrance oils for soap, fragrances for candles, fruit scented bath and body, fruit scented candles, fruit sherbet scent, fruity bath bombs, fruity ice cream scent, fruity scent, great scent for cp soap, homemade bath bombs, homemade bath fizzies, homemade bath fizzies for kids, how do I make bath fizzies, how to make bath bombs, how to make melt and pour soap base, how to make scented candles, ice cream bath bombs, ice cream bath fizzies, ice cream scent, ice cream scoop bath bomb recipe, ice cream scoop bath fizzy recipe, make rainbow sherbet bath bombs, make rainbow sherbet scented bath bombs, make rainbow sherbet scented body oil, make rainbow sherbet scented candles, make rainbow sherbet scented cosmetics, make rainbow sherbet scented lotion, make rainbow sherbet scented perfume, make rainbow sherbet scented soap, make you my own bath fizzies, melt and pour soap base, melt and pour soap base bulk, melt and pour soap base crafts, melt and pour soap base discount, melt and pour soap base natural, melt and pour soap base recipe, melt and pour soap base wholesale, natures garden, neon pink soap color, no discoloration, pink liquid soap dye, pink soap colorant, Rainbow Sherbet Bath Fizzies Recipe, Rainbow Sherbet Fragrance Oil, Rainbow Sherbet Fragrance Oil - New, rainbow sherbet fragrance oils, rainbow sherbet oils, rainbow sherbet scented candles, rainbow sherbet scented home oils, rainbow sherbet scents, red candle colorant, red liquid candle dye, scent for soap, shower fizzy recipe, soap making ingredients, strong air freshener scents, strong candle scents, strong cosmetic fragrances, strong scent after cure, strong scent in soap, strong scents for room scenting, strong soap scent, strong soap scents, vanilla notes, wholesale candle fragrances, wholesale candle supplies, wholesale candle waxes, wholesale cosmetic fragrances, wholesale cosmetic supplies, wholesale fragrance oils, wholesale soap fragrances, wholesale soap supplies on September 15, 2016 by Deborah Ward. Rainbow Sherbet Fragrance Oil is a delicious scent by Natures Garden. This aroma is that of four delicious flavors of sweet sherbet. Due to the vanilla and the four fruit scents, this fragrance oil is a perfect and tasty dessert scent. 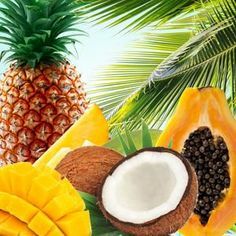 If you love fruit scents, sweet scents, or simply are just an ice cream lover, then this fragrance oil may be just what you’re looking for! We hope that you enjoy this sherbet scent in your amazing homemade products. What Does Rainbow Sherbet Fragrance Oil Smell Like? This fragrance oil by Natures Garden was tested by over 80 customers of ours who gave it fabulous reviews! The aroma of fresh lime, pineapple, orange, and raspberry, with creamy base notes of vanilla. Mouth watering! How Do Our Customers Use Rainbow Sherbet Fragrance Oil in Room Scenting Recipes? Our customers can use this delicious sherbet fragrance oil to create their own room scenting recipe. Potpourri and incense can each be created with this scent at a fragrance concentration rate of 50%. Any household cleaning supplies can be created with a maximum of 5%. Additionally, aroma beads that use this fragrance oil will maintain a nice, strong scent. Other kinds of room scenting products that are wax based and are either made of vegetable waxes or paraffin wax can be created with this sweet fragrance oil. Candles, wax tarts, and all other wax creations that can use this fragrance must keep the scent concentration below 10% for the recipe. Both joy wax and wow wax can perfectly include this fragrance oil. Also, soy wax candles that use this scent will retain a nice and strong scent. If you are looking to color the wax products that use used this fragrance in, then we suggest that you either include two drops of red liquid candle dye per four pounds of wax or adding an ample amount of a shredded red color block in the wax that you have a melted. How Do Our Customers Use Rainbow Sherbet Fragrance Oil in Bath and Body Recipes? Bath and body creators can use our Rainbow Sherbet Fragrance Oil in their products. Our Cold Process Soap Testing Results for this scent have shown that this scent works fairly well for this method of creating soap. A batch containing this fragrance oil will have no separation and no ricing. While there is some acceleration, you should soap at room temperature to reduce this acceleration. There will not be any discoloration in the soap bars and the final products will have a strong scent retained after the curing process. If you wish to color any of your bath and body products that use this fragrance, then we suggest using red or pink liquid soap dye in the amount that satisfies you. Just remember that you shouldn’t use any candle dyes in any body products. Bath gels, bath oils, perfumes, lotions, soaps, scrubs, and other relation bath and body creations can include up to 5% of this fragrance oil. Our Rainbow Sherbet Bath Fizzies Recipe are a great way to make bath time fantastic! These cute little bath fizzies smell just like fruity sherbet and look just like scoops of real rainbow sherbet ice cream. Whether you’re making gifts, products, or wanting a bath to unwind for a long day, this recipe has you covered. This entry was posted in bath and body, bath products, candle making supplies, Fragrance Oils, Natures Garden, Natures Garden Fragrance Oils and tagged bath and body products, bath bomb recipes, bath fizzy recipe, best soda scent for candles, best soda scent for soap, best strawberry scent for candles, best strawberry scent for soap, body safe fragrance oil, body safe fragrance oils, candle making supplies, candlemaking supplies, cold process soap, cold process soap scents, cosmetic soda pop fragrances, Crafts, crafts as a hobby, diy bath bombs, fragrance oil, fragrance oil spotlight, fragrance oils, homemade, homemade bath bombs, homemade candles, homemade soap, house smell good, how do I make bath fizzies, how to make bath bombs, how to make soap, ice cream bath bombs, ice cream scoop bath fizzy recipe, make soda pop scented lotion, make you my own bath fizzies, natures garden, natures garden candle supplies, pop fragrance, pop scent, potpourri, scents for soap, soap fragrance oil, soap fragrance oils, soap making, soap making supplies, soap scents, soapmaking, soapmaking supplies, soaps, soda fragrance, soda pop candle fragrances, soda pop candle scents, soda pop fragrance, soda pop fragrances, soda pop scent, soda pop scent for cosmetics, soda pop soap scents, soda scent, soda soap fragrances, strawberry fragrance, strawberry fragrance oil, strawberry scent, strawberry scented bath bombs, strawberry scented bath fizzies, strawberry scented candles, strawberry scented lotion, strawberry scented soap, strawberry soda pop fragrance, Strawberry Soda Pop Fragrance Oil, strawberry soda pop scent, wholesale fragrance oils on September 1, 2016 by Deborah Ward. Strawberry Soda Pop Fragrance Oil from Nature’s Garden is a fizzy, effervescent strawberry scent. This fragrance is sure to make any of your scented products pop! Pour a tall glass of your favorite strawberry soda pop and get ready to indulge, as this true-to-name scent will inspire all kinds of refreshing soaps and room scents. Pop the top on a bottle of this crisp, refreshing scent! What Does Strawberry Soda Pop Fragrance Oil Smell Like? 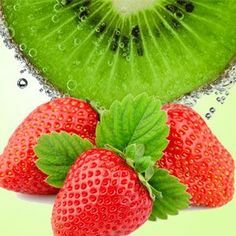 Strawberry Soda Pop Fragrance Oil is a delicious-smelling, bubble, sugary strawberry accord intermingling with fruity notes of raspberry and peaches. Base notes of vanilla and musk round off this effervescent treat! How Do Our Customers Use Strawberry Soda Pop Fragrance Oil in Room Scenting Recipes? First, Strawberry Soda Pop Fragrance Oil from Nature’s Garden transforms any atmosphere into a sweet, bright soda shop! Those creating homemade air fresheners can incorporate up to 50% of this fragrance oil in their projects. You can use this bright, fizzy fragrance oil in incense and smelly jelly recipes. This fragrance oil was also found to create strongly scented aroma beads. Additionally, candles and wax tarts can be made using this wonderful fragrance oil. You can use up to 10% with vegetable and paraffin wax. This bubbly aroma will perform perfectly in candle waxes as well. It performs wonderfully in Joy Wax, Wow Wax, and also Pillar of Bliss. Moreover, this strawberry scent will allow you to create strong soy wax candles as well. If you color your candles, we would recommend four drops of red liquid candle dye per 4 pounds of wax. Alternatively, you can also color your melted wax with a small amount of red color blocks. Do not use crayons to color your candles as they will clog your wick. How Do Our Customers Use Strawberry Soda Pop Fragrance Oil in Bath and Body Recipes? Strawberry Soda Pop is the perfect scent for all of your lush, bubbly bath and body products! Those making soap can use 5% fragrance oil in homemade soap recipes. Our Cold Process Soap Testing Results show that this fragrance oil accelerates trace, so soap at room temperature! There was no ricing and no separation. Further the scent was nice and strong and cured soaps discolored to a tan color. We would recommend using red soap colorant in the amount that satisfies you in bath and body products. Do not to use candle dyes in your bath and body products as they will dye your skin. Create a whole fountain of products when you incorporate Strawberry Soda Pop Fragrance Oil! One such product is homemade perfume. Handmade perfumes perform well with this fragrance when a maximum of 5% fragrance oil is used. In addition, homemade lotions can be created using this scent. We recommend lotion recipes use no more than 5% fragrance oil. Homemade cleaning recipes can also be created using a maximum of 5%. Bath gels and oils will smell wonderful when the recommended maximum of 5% fragrance oil is used. Finally, ready to get poppin with Strawberry Soda Pop Fragrance Oil? We’re bubbling over with excitement to show you our free recipe for Superman Bath Fizzies! Let us know how they came out! Share a picture with us on Twitter or Instagram @ngscents. This entry was posted in candle making supplies, Fragrance Oils, Natures Garden, Natures Garden Fragrance Oils, Soap making supplies, Uncategorized, wholesale fragrance oils and tagged air freshener oils, air freshener scents, aroma bead fragrances, aroma bead scents, bath bomb recipe, bath fizzy recipe, complex lavender scent, floral herbal room scent, floral herbal scent, floral herbal scent for aroma beads, floral herbal scent for candles, floral herbal scent for lotions, floral herbal scent for soaps, fragrance oil, fragrance oil spotlight, free lavender recipe, free recipe, french lavender notes, great fragrance for cold process soap, herbal lavender aroma, herbal lavender scent for candles herbal lavender scent for soaps, herbal lavender scent for lotions, herbal scent, herbal scent for candles, herbal scent for soaping, herbal scent for soaps, herbal scents, homemade scented candle recipes, lavender, lavender air fresheners, Lavender and sage aroma, lavender aroma, Lavender Sage aroma, lavender sage aroma bead scent, Lavender Sage Bath Bomb Recipe, lavender sage fragrance oil, lavender sage room scent, lavender sage scent for candles, lavender sage scent for soaping, lavender sage scented bath bomb, lavender scent, natures garden, NG original, NG original fragrance oil, NG original scent, recipe that uses Lavender Sage Fragrance Oil, sage air fresheners, strong scent after cured, wholesale fragrance oil on July 25, 2016 by Deborah Ward. What Does Lavender Sage Fragrance Oil Smell Like? The perfect, complex and unique, herbal combination fragrance oil by Natures Garden! Lavender Sage fragrance begins with top notes of French lavender, lime, sage, and fern leaves; followed by middle notes of dill, pepper, moss, and ginger; and well rounded with base notes of pine, musk, and patchouli. An NG Original Fragrance! How Do Our Customers Use Lavender Sage Fragrance Oil in Room Scenting Recipes? First, our customers making their own room scenting products use this lavender and sage scent to create their own recipes. Also, scented incense sticks, cones, and potpourri can be created using a maximum of 50% for this fragrance oil in their recipes. Also, any homemade cleaning products can be created using up to 5% of this fragrance oil. Additionally, the scent will remain nice and strong in aroma bead ornaments and sachet bags. Additionally, this lavender blend fragrance oil can be use to make homemade scented candle recipes. These products made with vegetable or paraffin waxes can include up to 10% of this scent. Joy wax and WOW wax will both perform perfectly for this fragrance oil. It will smell amazing in wax melts using our Pillar of Bliss. Also, this scent will remain nice and strong in soy wax candles. If you want to add color to your candle products, then we suggest using one drop of purple liquid candle dye. Also, you can use small amount of shredded purple color block per four pounds of wax. Remember to never use crayons as a substitute for coloring your candles as they will clog your wick. How Do Our Customers Use Lavender Sage Fragrance Oil in Bath and Body Recipes? Homemade bath and body products can be created using this herbal fragrance oil. Bath gels, bath oils, soaps, lotions, and other bath and body products can be created with 5% for this scent. Also, this fragrance oil will perform perfectly in perfumes, as long as the fragrance oil concentration is no more than 5%. Moreover, this sage and floral fragrance oil can be used to create soaps using a variety of methods. For instance, our Cold Process Soap Testing Results have revealed that this fragrance oil is great for this method of making soap. A batch containing this scent will have no ricing, no acceleration, and no separation. The final product will have a strong scent retention. After it cures the bar will discolor to a tan or lavender hue. If you want to color your bath and body products, then we suggest using purple soap colorant. Just remember to never use candle dye in any body products as they will stain your body. Finally, if you’re looking for a great bath recipe that uses our Lavender Sage Fragrance Oil, then you may want to check out our Lavender Sage Bath Bomb Recipe!